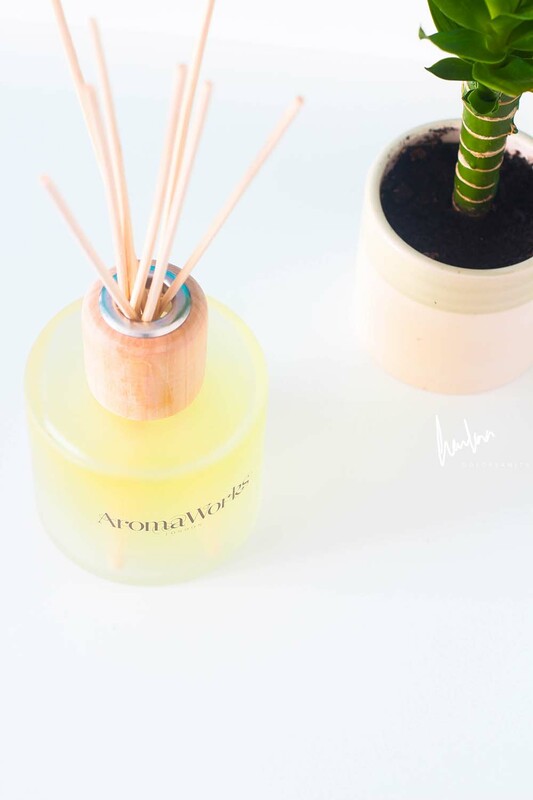 I first came across Aromaworks a couple of months ago looking for an electric diffuser, so it was such a lovely feeling to be contacted to work with them and review an item from their website. I finally decided upon their Nurture Reed Diffuser, for a few reason the blend and also for the therapeutic aspects that the blend brings. Key ingredients May Chang, Camomile & Sandalwood. I love Sandalwood and Camomile. The blends work perfectly together to help promote physical relaxation and mental calm. The bottle is translucent and a very good weight, the neck has a wooden cap that you attach onto the neck once you take the cork out to put the sticks in. Within minutes you smell the calming blend in the room. After awhile once you leave the room and come back you can smell it as soon as you enter, as I keep mine on my chest of drawers near my bed, when I'm in bed I can smell the aroma. Absolutely relaxing! Diffusers are always a good thing to have in the room for consistent scents. To calm, uplift and help your mind and mood! I would recommend this and would probably even get another one myself as there are more diffusers on the website.